On December 6th, history was made in South Africa with the inauguration of the Abantu Festival. Black writers in South Africa and from other parts of the continent gathered in Soweto to celebrate African writing and literary culture. Novelist Panashe Chigumadzi, one of the festival’s main curators, was inspired, in part, by Ake Art and Books Festival held in annually in Abeokuta, Nigeria. 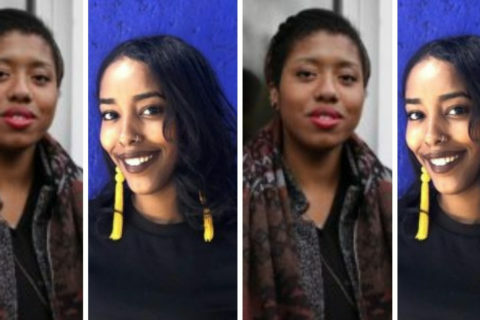 She and fellow organizers assembled an impressive group of writers, artists, and culture influencers around the idea of African writing and other aesthetic forms. Chika Unigwe, Lebo Mashile, Lidudumalingani, and Zukiswa Wanner are just a handful of the many important literary figures on the guest list. It was a beautiful event, a much-needed intervention in a South African literary landscape dominated by white writers. For those of us who weren’t there, we have the next best thing: Lidudumalingani’s photographs. The winner of the 2016 Caine Prize for African Writing is, as you all know, a photographer and filmmaker. Even though he was at the festival as a guest, he had his photographer’s hat on as well and took a series of beautiful and powerfully expressive photographs. Kudos to Chigumadzi and the Abantu Festival team. We look forward to all the wonderful things they’ll do with the platform in the future. Thanks to Lidudumalingani for letting us share these images with our readers.